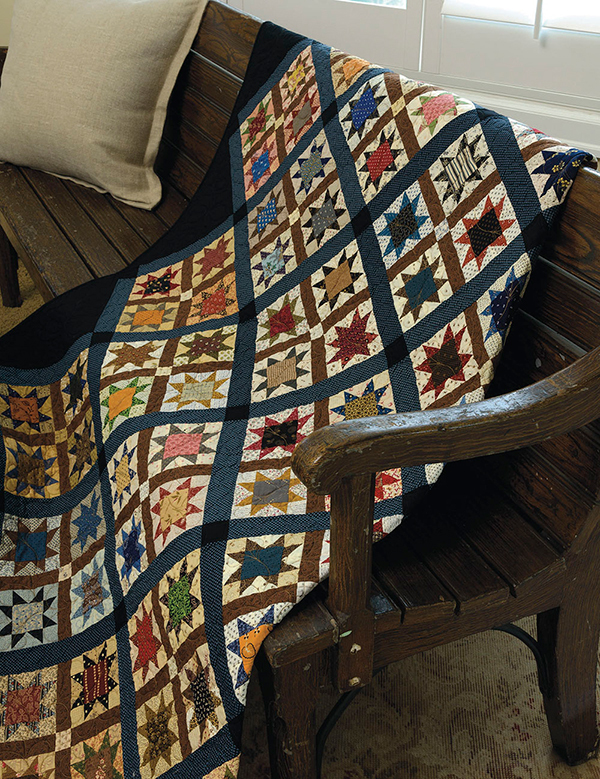 Reproduction-fabric collectors and antique-quilt lovers, the much-anticipated follow-up to Tributes and Treasures is here! Enjoy an all-new, jaw-dropping collection of patterns from the talented design team behind Red Crinoline Quilts. In Step Back in Time, you’ll learn streamlined techniques for creating 13 of their vintage-inspired designs. Each quilt is paired with a fascinating true story from the 1800s, while more than 70 beautiful photos capture the style and sentiment of this unique time in American quilting history. We’re thrilled that Paula Barnes (on the right in the video) and Mary Ellen Robison (on the left) recorded two videos for us, to introduce their new book to YOU! Get ready for project reveals and some fun stories about the quilts they designed for Step Back in Time. In this next video, you’ll learn how Paula and Mary Ellen met and how Red Crinoline Quilts came to be. It’s a great story—we think destiny played a part in their pairing! 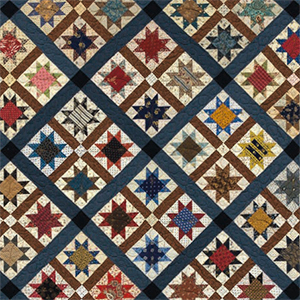 Here’s an excerpt from Step Back in Time that shares the introduction to the Potato Chip Stars quilt, which Paula and Mary talk about in the video above. 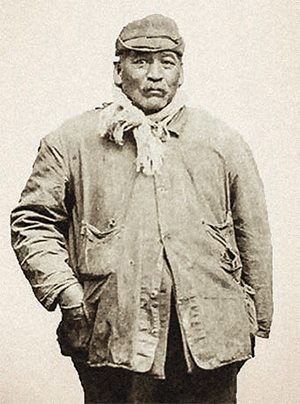 “While recipes for potato chips appeared in cookbooks prior to the 1850s, the legend of George Crum, Kate Wicks, and their invention of the potato chip is probably the most interesting. Born in 1824, George was an American chef who honed his culinary skills at Cary Moon’s Lake House on Saratoga Lake in upstate New York. Moon’s Lake House was an expensive restaurant that catered to the wealthy families from Manhattan that vacationed at their “camps” on the lake. One night, a dinner guest returned his French fries to the kitchen because he felt they were too thick. George decided to annoy the customer by serving him a much thinner fry that he overcooked and salted. To his surprise, the guest was ecstatic over the browned, paper-thin potatoes, and the potato chip was born. In 1860, George opened his own restaurant, called Crum’s, in Malta, New York. It’s said he served a basket of chips at every table. In 1932, Herman Lay founded Lay’s, and his potato chips became the first successfully marketed national brand. Which typically first inspires you when starting a quilt: the pattern or the fabric? We’ll choose one winner a week from today and let you know by email if you win—good luck! And if you’re ready to dive in to those “potato chips” 😄 with Paula and Mary Ellen, you can purchase Step Back in Time on our website and instantly download the eBook for free. We’ll email you about your prize, Janice—congratulations! I am usually inspired by the pattern first, then I find fabric for it. I am usually inspired by the pattern but the fabric motivates me to try a new pattern. I love Civil War reproduction fabric and patterns! Probably a little of both. I love reproduction fabrics and classic quilt patterns. The mix is eye candy to me. This book looks wonderful. Usually its the fabric first, but occasionally I see a pattern that just has to be done and get it first. I am usually attracted by the pattern or design, first, then select the fabrics and colors. Usually, I am inspired by the pattern, but sometimes a fabric just hits me and I have to have it. Then I have to find the perfect pattern. I’m always inspired by the pattern first! Would love to win this book and use my scrappy scraps ! I am inspired by the pattern, but it is an extra bonus if the pattern is shown is colors that I love. Reproduction fabrics are my favorite. It’s usually the fabric that just cries out for a pattern but sometimes the pattern just directs me to the fabric. This book is gorgeous and I feel this will become part of my working library! I choose my quilts by pattern. I love the older traditional blocks ie: log cabin, churn dash, 9 patch etc. I am usually inspired by the pattern first. It could be "can I make that" or "how will it look in other colours" or "I can make that a different size". Quilting is such fun! I am inspired by both. Sometimes I see a pattern I like first. BUT there are also times I see fabric I love and then find a pattern to go with it. In general, I get inspired by a pattern as I have a really hard time cutting into fabrics that I collect! I’d much rather find a pattern that talks to me rather than cut into that piece of fabric that talked to me! Sometimes, it happens at the same time, which is THE BEST outcome! The pattern always inspires me first ! I’ve had both situations, but usually a pattern appeals to me to make a quilt. Most recently, though, a hot-pink pineapple in a fabric with brown leaves made me think about scales on the skin of reptiles ~ which prompted me to design a triceratops quilt for my grand-daughter… which then seemed to encourage me to work on designs for a dragon and other mythical creatures! I find my inspiration in the pattern first. That is a tough one! Usually the pattern inspires me first, but sometimes it’s the fabric! This is an interesting question! I realize that I most often start with the fabric first. I would love to win a copy. I usually start a quilt after I see s pattern or picture. Then I choose the fabrics. Usually I will find a pattern inspired me first and then look for fabrics I think will work. Back in the day I first started quilting, fabrics were not as inspiration as today’s fabrics. So the pattern was my goal to a quilt, color, and finally the fabric. Inspiration is from a pattern closely followed by the fabric. And this book has loads of inspiration. Can’t wait to get it.!! The pattern inspires me first ! Love the story about the potato chips ! Thank you for sharing ! It says I’ve already submitted this! I almost always start from a pattern. Then I choose fabrics from my stash if possible. Pattern first usually. Love the old patterns best. Fabric always inspires me first. Then I look for a pattern to fit! The pattern usually inspires me but sometimes that is because of the fabric they used. I have a hard time looking at fabric and thinking of a project. I usually pick the pattern and then shop for the fabric to make it. Oh it is definately the pattern. Then comes the fun of going through my stash to find the right fabric. Of course, I can find maybe 2 or 3 pieces of fabrics there but have to go shopping for the 4th & 5th piece of fabric. Which typically first inspires you when starting a quilt: the pattern or the fabric? What a hard question! I would say the pattern first but as all quilters know when you see a fabric you love you buy it without knowing what you may use it for then you start looking for the pattern. I am usually inspired by the pattern first, but some fabrics may grab my attention. Usually the pattern, but sometimes fabric calls out to me first! In truth, it’s both. With scrap quilts, it has to be the pattern. But sometimes there’s a print, or a collection of prints, where I own the fabrics and go looking for the perfect pattern to show them off! I am usually inspired by the fabric and try to choose patterns that will bring out the best qualities of the fabric. If I start with a pattern, I get lost in too many good choices and never make a decision. I start with a pattern. I love that potato chip quilt, just because of the name and story. But I don’t use reproduction fabrics. I would make it in lively colors. Usually it is the pattern that inspires me first but sometimes the fabric just speaks to me at the "get go". Sometimes there is a perfect marriage of pattern and fabric that just jump out at you and say "please make me". I love exploring quilt pattern books. I’ll even buy one for one pattern. Once I call for a pattern, I hung through my stash. So, I’d say the patterns inspire me. I’m generally inspired by the pattern and then I begin pulling fabric from my stash for the pattern. On occasion I have bought fabric and then found the pattern but usually it works the other way. Lovely book! I think the fabric draws me in but then I stand back and dissect the patten. I like to see if it will work with fabrics i have in my stash. I love this book. My answer is both. I have to admit that I am influenced by the finished quilts I see. I do buy fabric that I love and then search for the best pattern to use it to advantage. And I will fall in love with a pattern or block and then hunt for the best fabric choice to make it. I would say I’m inspired usually by the pattern but a piece of fabric can do the trick, too. The pattern inspires me first! Most of the time it is the pattern. Occasionally a fabric will just jump into my arms off a shelf and then I figure which paypttern will work. I do it both ways. Sometimes I start with the pattern and sometimes I have a fabric I love and search for a pattern that will bring the fabric to life. The fabric choice has a lot to do with the pattern standing out to me, but I do like trying new patterns and will choose my own fabrics to go with a pattern. My favorite quilts are scrap quilts. This book looks very interesting and I love civil war fabrics and other reproductions. I always look at a pattern first and look at what the designer has used. And I also try to use what I have on hand. I will get new fabric to add to what I have on hand if needed. If I see a fabric I love, I will find or create a pattern to use. Usually, though, I get inspired by a pattern and search for the fabric to use. I find the fabric a pattern is done in makes it stand out for me. I may change the color scheme and do like trying new designs. 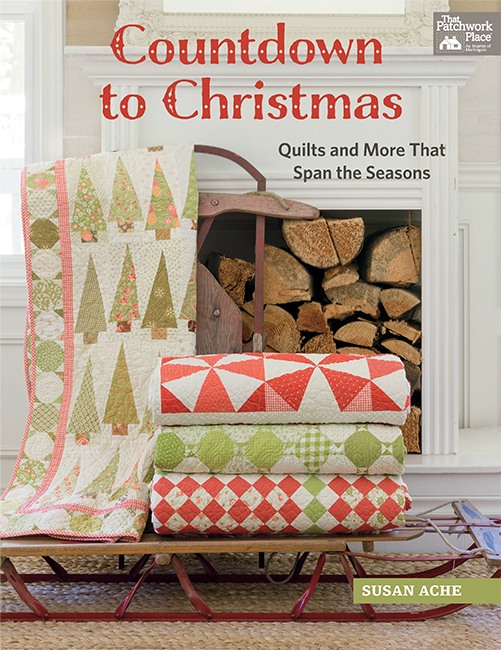 This book looks very interesting and I love scrappy quilts and civil war and reproduction fabrics. I depends on what I fall in love with first. If I see a pattern I want to make then search for the fabric…If I see fabric I love, then search for a pattern to show it off. Pictures of quilts really help to make these decisions. The pattern usually calls me first! I usually fall in love with the fabric first and then search for a pattern. The pattern inspires me and then I search for fabrics. I’d love to win this book! Thanks for the giveaway! That’s a hard one. Usually it’s the pattern, but sometimes it’s the fabric. Sometimes I am inspired by the pattern and other times the fabric. But so often a fabric is irresistible just like the "potato chip" blocks. The pattern has to grab me first! Then I start looking for fabrics. 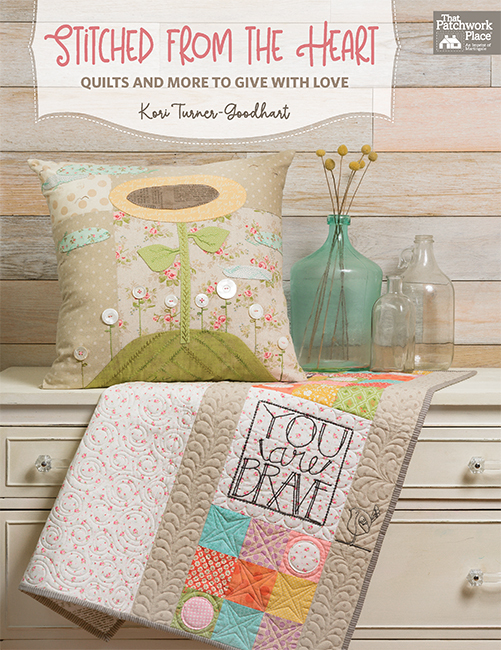 I absolutely love scrap quilts and love the look of this book! Thank you for the chance to win a copy. I usually go by the pattern. This is a tough question. Often times it is the quilt pattern that inspires me but sometimes it is just beautiful fabric that I want to find something to make with it that starts me on the path to a new quilt. The pattern speaks to me first and the fabric adds the extra zip. Both! I frequently shop for fabric in bundles…like fat quarters, or other pre-cuts. Then I search through my patterns to find one that I think will work with my purchase. However, I often find a pattern that I fall in love with. Then I am busy finding the perfect fabrics for it. I am inspired by the pattern first. Then is fun and challenging to find just the right fabric to fit my image of how the pattern will turn out. Which inspires me first? Sometimes fabric, sometimes a pattern. Large-scale, chintz-like fabric, or a border print with a large design always gets me going. But a pattern from an antique quilt often gets my attention. My inspiration usually comes from the fabric first, as I’m drawn in by the colors and designs of the fabric. I am always inspired by the pattern first! When a pattern tugs at my heartstrings ( like the Potato Chip Quilt did) then I begin the fabric search! I have made all my quilts this way so far and I love the memories and stories attached to each one! This book looks wonderful! I usually am inspired by the pattern first. I am more often inspired by the pattern than a fabric. All the patterns in this book inspires me. It’s a fabulous book, definitely on the top of my list. I usually start with a pattern. Seeing a picture in a magazine, book, or on the internet that catches my eye and piques my interest. Once the pattern is in hand, I go to my stash and see what I have that will work, and where I need to fill in. The pattern inspires me because my quilts are scrap quilts. I was inspired by the pattern, but also seeing all the quilts in books and photos. I would look at them and think I would love to do this but was afraid to try. I found a beginner quilting class and signed up and the rest is history. It has been the best hobby you could ever have. When you give a quilt you also are giving a hug every time the person uses it. I guess I have made quilts starting from both. It’s definitely the pattern for me. I have a huge stash of fabric that "inspired" me when I bought it but that I am totally reluctant to use for anything! Usually the pattern or the idea for a quilt comes first. Then the really fun part, choosing fabric. I love the potato chip quilt…they are one of my many weaknesses when it comes to salty snacks…right next to Popcorn…maybe that will be in the next book! The Fabric! I often have to spend a long time deciding just which pattern will show off my favorite fabric of the moment. I am usually inspired by the pattern first but sometimes I see a fabric that "te"s" me exactly what it wants to be! Usually I will pick a pattern then start playing with fabric colors and prints until I get the perfect combination and a quilt is born (or at least a quilt block is born, I go for the scrappy look so each block is usually unique.) Sometimes the fabric jumps out at me and I make a block around it. Once I started a commissioned quilt with the border fabric and made a quilt to match the border color. Inspiration for me is the person I am planning to gift the quilt to; sibling, child, grandchild or friend. What are their likes, activities, color, etc. I want it to be as personal as possible & to represent my thoughts of how much they mean to me. I want my quilts to be a lasting memory for them every time they wrap themselves in the quilt or have it displayed in their home. usually i am inspired by a picture or a pattern. sometimes i find fabric so gorgeous i just have to have it and then i look for a design that fits the fabric. Tough question- yesterday I bought fabric for a pattern I love and last week it was the other way around!Love that the classic patterns are still classic. What a beautiful book! Definitely the pattern first for me. Then the hunt is on for the perfect fabric. I’m attracted by fabric lines. Then I have to find a pattern that fits and shows off the fabric. AND one that is easy enough for me. The pattern is the way I choose a quilt to do. I rarely use the fabrics or even an approximation of the ones in the book. I like to do it my way, of course it doesn’t always work out. Sometimes a pattern will be something I just have to make and then I see fabric and think, Oh this would be great as? Never know what will inspire me at the moment. Either way I love to quilt and love the potato history and the quilt. I love the fabric first and then hunt for a pattern, most of the time. I love patterns and seem to collect them. The colors, textures and patterns of fabric draw me in. I love to shop for fabric and have them inspire me to match the pattern. Such joy! Definitely the pattern. I already ordered this book. I am so excited. More times than not, the pattern calls to me and I find the fabric to make it. Having the pattern already selected also helps me know how much fabric to buy. Usually the fabric comes first. Usually the pattern first. In the case of this book it’s the stunning pictures of the pattern/fabric combo. Talk about inspiring!! The quilt pattern inspires me most of all. I love the fabrics, but if you don’t have a good pattern to showcase the prints or colors, you won’t end up being as happy with the finished quilt. The fabric in a quilt will make me take a second look at the pattern. Sometimes a little of both, depending on who I am making the quilt for. Most of the time I get the fabric I like and then choose the pattern. Seems backwards but it works for me. It depends! Sometimes I choose the pattern then search for fabric. At other times I fall in love with a fabric line then search for the pattern that will best work for the fabric! Some fabrics are too beautiful to cut into small pieces! Most of the time it’s the pattern. I am often taken with the fabric first and find myself wondering what pattern would showcase it best! I am definitely a pattern person. If I have pretty fabric that has "spoken" to me, I usually want to keep it intact and just look at it because it’s so pretty. The pattern may sing but for me it’s usually the fabric screaming at me! It would have to be the fabric, esp.if it is bright fabric! Definitely the fabric first. I can look at a pattern, but if it’s not made with fabrics that speak to me, I probably would never make it. This looks like a fabulous book, one I need to add to my library. This is a tough question. I think it depends on the my mood and what I’m ready to quilt. Sometimes the fabric moves me, but mostly it is the pattern. This looks like a great book! Fabric – it’s always the fabric. Mostly the colours inspire me, but sometimes I have a print that makes my heart beat faster, and I go through my books and magazines to find a pattern that showcases the print. I’d have to say the pattern. The book looks awesome! Like so many here, it’s the pattern that draws me in first. Sometimes I am inspired by the wonderful fabric,but usually it is the pattern I see and am inspired to find the most perfect fabric to make it with. Now I have quite a collection of reproduction fabrics and I see inspiring patterns in this book. I would love to win it! I’m attracted by the pattern first. I am always attracted to the fabric first. No matter how great a pattern is, if I don’t like the fabric, I’m not too likely to make the quilt. I usually use my favorite fabrics for a pattern but sometimes I really like the original best. I usually like to start with the pattern and then go to my stash of fabric. Never have quite enough fabric, so I create the necessity to buy more fabric! Since I have a huge stash, I often see a fabric or group of fabrics that I decide I really want to get to, at which point I start looking for a suitable pattern for it. Probably almost as often, though, it works the other way. The pattern is definitely what captures my attention first. What first inspires me is the pattern, and then I pull apart my stash, interviewing the fabrics and scraps. I use mostly scraps, so it is usually the pattern that inspires me to make a quilt. Those tiny baskets in the backdrop quilt behind Paula and Mary in the videos are adorable–what fun! Usually it’s the fabric that inspires me. I can tell what kind of quilt it wants to become. But sometimes browsing through quilt books will get the creative juices flowing. I usually start with a pattern and then go shopping or stash digging for fabrics to use. I usually go for the pattern first, then the fabric I pick out inspire me to make a quilt. I think that I choose a fabric I just love and then figure out what pattern I’m going to use it in. That’s not to say it doesn’t sometimes start with the pattern first because sometimes that happens too. I just love the potato chip quilt. I definitely have plenty of scraps to make it from. Thanks so much for the chance to win. Since I own much more fabric than I do patterns, it is obvious that I am inspired by the fabric. I look for patterns that will fit my fabric or that I can modify to fit my fabric. I make quilts just because I like playing with fabric! I would say I start with the fabric and then search out what to do with it. On occasion, it is the pattern first, but mostly the fabric leads the way. It is always about the feeling I get when I read about or see a pattern that sends a ‘shiver’, so to speak, throughout my body. I instantly begin looking for the fabric to start the project. I am inspired by the fabric. Most the time I have fabric and then I look to find the perfect pattern. Any pattern from Red Crinoline is perfect! It’s the pattern that catches my eye, especially when it is made up in really pretty fabrics like they used. The "potato chip stars quilt" will be on my "have to make" list for sure! The pattern is my inspiration. I would say its the pattern, however the color combination the designer uses in whatever pattern has a lot to do with my choice. This book looks wonderful, thanks for the opportunity to win it. Its the fabric used in the cover picture of the quilt pattern. I’m drawn to bright cheery fabrics in the pictures. That’s like asking which came first the chicken or the egg! I’d say its a tie. Sometimes I see a pattern I just have to make, other times a fabric jumps out at me and says make me into something wonderful NOW! I find the pattern first usually, then start the process of looking for fabric. Fabric shopping is one of my addictions and that accounts for the patterns and tubs I have with "oneday, I’ll get to that project". I found the video of these authors fascinating and book looks like a piece of lovely art. I usually am first inspired by the pattern, though I’ve had a few times that I’ve found a pattern for fabric I love. Thanks for the chance to win this book! I typically find a pattern and then sort through my current fabric stash that is augmented with a few newer fabrics that require larger pieces, e.g., sashing, borders. I find a pattern I like and then look for fabrics for that pattern. I usually try to go w fabrics similar to ones shown in the pattern. Sometimes it’s the fabric; other times it’s the pattern. I just tend to do with what I love and it generally works out! I think the fabrics affect me most when I see a pattern. I often have trouble getting past fabrics I don’t really care for in order to imagine what a pattern might look like in different fabrics. I LOVE Red Crinoline Quilts patterns! Obviously FABRIC because my ‘textile collection’ is many, many times larger than my patterns. I WOULD LOVE TO HAVE THIS BOOK, I WOULD USE IT AND I WOULD SHARE IT. The fabric always inspires me. The pattern usually comes first. However sometimes a fabric will just call my name! To be honest, the fabrics get my attention first – the color & contrast. Then the pattern intrigues me to make a quilt. Of course, I have to play around with the pattern a bit so I can make it my own way. I rarely follow patterns completely. Gorgeous fabric usually comes to my attention, then a pattern. I think it is both because if I like a pattern, it is usually because I like the fabric it is made with. It is hard for me to picture a pattern in other fabric. The pattern inspires me usually but recently it was the fabric that has inspired me. Good luck everyone. Thank you for the chance to win this beautiful book. It’s a combination of both for me. I often find a pattern I like, but I almost always make it with different fabric. I need to be able to visualize the two together. If I don’t have at least a dim picture in my mind of how I want the quilt to look when it’s finished, I’m lost. Often finding a border print or focus fabric is the catalyst for me. Usually the pattern. Frequently the fabric drives me to find a pattern so I can use the fabric. Love everything Red Crinoline does. So excited for this book! The pattern inspires me and then I look for fabric. I like scrappy quilts so it’s usually the pattern to idea First then the fabric. Pattern…but the fabric used in the sample quilt is very influential. The pattern is my inspiration for sure! Fabric is a close second. Quilting has been my hobby for years. Most all are pieced and quilted by hand. Given to family for gifts at Christmas, Weddings and Birthdays. Usually see a pattern I like and check my stash to make a sample. Then if I am satisfied with the pattern I will choose fabric from stash or will buy special fabric and go from there. I am on quilt #103 now and facing shoulder surgery so will be out of commission for a few days but will just enjoy looking for new patterns until I am able to again pick up my needle and quilt, quilt, quilt. I mostly pick out fabric I love first and then search for just the right pattern to show off the fabric. I seem to migrate to the 1800’s Civil War fabric, small prints and tone on tones. I love how they look and feel. I also collect doilies and lace. I would love that book because I am always trying to step back in time with my work be it either piecing, applique or hand embroidery. It depends. Sometimes, I see a pattern that I love and then go fabric shopping. However, if I see fabric that I love, I’ll look for a pattern. I absolutely love Red Crinoline Quilts and loved the videos. Thank you. Sometimes the pattern, sometimes the fabric! I am a mix. Sometimes the pattern gives me my direction, but others a special fabric will send me on a perfect pattern hunt. Sometimes the fabric inspires me but more often than not, it’s the pattern that drives the quilt. I have fabrics set aside for that special quilt, waiting for just the right pattern! I’m very much inspired by fabric. If I like it, I can visualize it into some pattern. On the other hand, I love new books. As I look at the photos, I can see ones I like in the fabric colors I like. How wishy-washy was that answer? I am usually inspired by the fabric especially Civil War style repros. About 60% of the time the fabric and 40% of the time the pattern. Both can be inspiring. The fabric or combination of fabrics usually inspires me first. Then I look for a scrappy pattern that can use as many fabrics as possible. The pattern first!! You can always change the fabric to suit your favorites. I like simple patterns that look difficult. That traditional pattern that has a twist of something different. Generally the pattern will be the inspiration especially since I love scrap quilts. I am a sucker for the civil war fabrics. Both, sometimes I find a pattern I love and try to use as much of my stash that I can and purchase the rest. Other times I can’t resist a fabric line and buy it for a future quilt hoping I buy enough yardage. I have a lot of pigs waiting for me to work on. I have done quilts both ways. Sometimes a pattern really strikes me as something I want to do. Other times I find fabric I like and then go thru my patterns to find the right one that works with that fabric. If I don’t have any pattern that works, I go shopping. The fabric inspires me and then I pick a pattern. I’m normally inspired by the pattern first, although I’ve seen some quilt patterns that were really blah but when I saw them made up with fabric different from the pattern they were wonderful. I usually start with a pattern then pick the fabric. In the case of this book I have a fat quarter bundle of civil war fabric that could use a quilt. I’d love to make one for my brother who is a civil war buff. I would say the pattern tends to lead fabric. I have more waiting projects that were love that pattern, now how do I make it my own. I do love the new book. It will have to go on the wish list. I usually start with the fabric. I start with the pattern and then choose fabric. I start with "What do I feel like making…easy or difficult, stars, log cabin or something else…civil war prints, batiks, floral…dark colors, brights, pastels. There is a whole process involved and I love every minute of it. I find the pattern is the inspiration for my next quilt, then the fabric choices. I love to see patterns in multiple fabric colors. Sometimes a different color will speak to me and draw me to the pattern. But usually it’s the pattern first that grabs me! Thanks for the opportunity to win this new book. I am typically drawn to the fabric first when I decide to make a quilt. However, patterns like the Blooming Nine Patch would be a different story. It amazes me of the creativity of quilters. This is beautiful. I would like to make it. Both inspire me. I often see fabric I have to have. I often see patterns I have to do. I’m delighted when the two meet! Usually the fabric colors catch my eye first and especially if they are vintage/reproduction era. However, certain patterns will inspire me no matter what fabric was used so I would say a little of both. Fabric first, I think, but I’ll admit I’ve also fallen in love with a pattern first. I’d have to say a little of both! I buy a lot of "sale" fabric since I most always will be donating the finished product and with most I have a specific pattern in mind I know would work perfectly. There re those special occasions though where I find a pattern I just HAVE to make so fabric is chosen just for that:)No matter which way I go, the end result is always great! I usually like a pattern first and then start gathering fabrics to make it. Thanks for a chance to win this book. I like several of the patterns! Both pattern and fabric are inspirations. Frequently the pattern is first; however, a piece of fabric that I love generates the pattern. With me it could go either way. Sometimes I see a pattern I just have to make. Other times I find fabric I love and need to make into something beautiful. Definitely the fabric. Like most quilters I find the fabric speaks to me or touches me in some way or on some level; or perhaps just zings me with some burst of inspiration. Then, after purchasing what I hope turns out to be sufficient quantity I wait again for the fabric to speak and tell me what type of quilt it would like to become. I’ve used both methods, but am most often caught up in choosing a pattern to complement a favorite fabric. It depends, since there are so many great fabrics. That being said, lately I have been trying to shop my stash, so I’ll for patterns that catch my eye. My stash usually inspires me to find a pattern which will "work." I’m inspired by the pattern first. I love reproduction fabric and the star block is my favorite! When I see a pattern that I just love, made with fabric/colours I really like, I just itch to start sewing. My answer would be it’s 50/50. Sometimes the pattern is something I love & must have & sometimes it’s the fabric or colors used in the pattern that I love. If I really like a patter but not the colors, I always try to visualize the pattern in “my” colors. This new book has great patterns & colors! Most of the time I pick fabric, then pattern. But I’ve been known to do that in reverse. And, of course, I have stashes of both. But we won’t talk about that!! It is usually the colors that attract me first, then the pattern. Sometimes the pattern is so unique that I don’t see anything else. Sometimes it’s the fabric line, but at other times is’s the pattern. Many times they go hand in hand. I have an idea of my own first then I look for inspiration…..some times a pattern or technique or sometimes fabric. I’d have to say sometimes a pattern and sometimes my fabric stash. I have a large collection of repo fabrics and I love scrappy quilts so a good pattern can always inspire me. Probably the choice of pattern comes first. It is hard to say. I definitely get excited about the fabrics I chose for a quilt first and then the pattern. It is so much fun especially with all of the fabric choices we have now. I am always drawn to the pattern first. Classic vintage designs are my favorite!!! I really can’t decide…I think fabric is my first love, and I will look for patterns to showcase what I love about a particular print, but just as quickly I think I fall in love with certain patterns and the movement and color combinations that explode from them. I just love it all. Excited about this book from some stunning designers. Fingers crossed. I can be inspired by a pattern or a fabric line. It is probably more often the pattern though. These are some gorgeous quilts! That is an either or question for me! Sometimes I see a block I like and then decide on what fabric to use for that block. I will do a sample to see if I like the block with that fabric. Other times I have fabric I want to use so then figure what I would like to make! I am drawn to the pattern first when looking at books. Then I start thinking about fabrics and colors. But if I am in a fabric store, I am in heaven!! It’s both! When I find a pattern I want to you, I won’t make the quilt until I’ve found exactly the right fabrics for it. An conversely, I certainly have some fabulous fabrics in my stash that are waiting for the right quilt pattern to appear! But for the quilts I make for others, it’s the pattern first. Definitely. I think if it is an instant "Wow", then it is both. They compliment the element of the other. Almost all the quilt tops I piece are for our church sewing group. They are simple square patches, so I decide on the fabric by seeing what looks good together in my sewing room. Often is it simply pices of fabric that were lying close together and then I decide they would look good in the quilt. I think I may make Bonnie Hunter’s latest mystery quilt. She has already finished it and posted the completed quilt. It is not necessarily a pattern I would have chosen, but the color combinations that she started with, I loved. If they don’t go in that quilt, they will go in another one I make. I love some of the quilts in this post. I may just have to get the book if I don’t win it. The pattern is the first thing I look at and then pick fabric to make the quilt. I usually do just one block and then decide if I want to do more. I think I’m first inspired by the pattern. I love vintage quilt patterns because they remind me of my Grandmas quilts. Would love to have a copy to go with their 1st book, the fabric and the patterns dating back to the "Bonnie Blue" days. I always visit the Red Crinolin booth at HIQF each year and enjoy the new quilts on display. Reproduction quilts are my passion and joy. I think the pattern inspires me to want to make a quilt. Seeing it in fabric I love makes me want to make it more. Usually I find the pattern first, then the fabrics. Would love this book! Generally, patterns or ideas inspire me first. For me it is usually the pattern. The pattern is a seller of whether or not to do a quilt. Most of the time it is the pattern for me. But sometimes there is just a fabric that I fall in love with and just have to make something with it. I have to say the fabric inspires me. Seeing a quilt made by a LQS employee has drawn me to seek out the pattern. But if I had seen the pattern first, based on the colors and fabrics used on the cover, I wouldn’t have given pattern a second look. Definitely the pattern inspires and motivates me! I am inspired by the pattern first, then find fabric to make it. The pattern is usually what catches my eye. However, sometimes a traditional pattern is done using interesting fabrics or colors that inspires me to want to make a similar one. Your new book is fabulous! I always thought it was the pattern I liked first but after seeing other quilts made from that pattern in a different colourway, I realized it was the fabrics/colours that drew me in. Love the civil war fabrics and the beautiful new book. I cannot choose which one to make first, all are so lovely. I can use my stash and buy new fabrics. Would be so excited to own this book. It works both ways for me at time I will find fabric that actually "speaks" to me and whispers sweet musings. I am always looking to challenge my skills and there will be that one pattern that says "can you do it?" I responded by purchasing the pattern and then find glorious fabric that complements its design! I am drawn in by the pattern. I rarely make a quilt in the same or similar fabrics anyways. Fabric. Maybe the pattern. How it is all put together!! I will say it’s the fabrics! It’s hard to see beyond the pattern if i am not drawn to the colors first! Step Back In Time looks like an amazing book, the colors and the patterns are just so inviting, you just want to pick them up and hug them! I would love to read the stories behind these quilts, especially love the Potato Chip Stars Quilt, Oh My! Thanks so much for a chance to win this awesome book!!! Sometimes the patterns call to me and then I find the fabric. Sometimes it’s the other way. I’m usually inspired by the pattern and then go searching for fabric. However, I often find a fabric that I absolutely love so I buy at least a yard and put a snippet in a small notebook of fabrics looking for a pattern. Sometimes it is both, I thought it was the fabric but I think it is actually the pattern. This book looks great! Fabric is what I’m drawn to. I love the design and color. I begin to think about what pattern would best show off the fabric and I dream of sleeping under a quilt made with that fabric. I later often admire the fabric in the quilt and am pleased with my choices. It puts a smile on my face and I feel content wrapped in comfort and love that quilts provide. Sometimes the coloring of the fabrics pull me to trying a pattern, other times, it’s the pattern itself. I always love a challenge, so it’s different every time. It can go either way – usually it’s a fabric that I love but sometimes it’s an interesting pattern. I start a quilt with the pattern then find fabrics to suit, hopefully from my stash! The color grabs me first. Then the pattern. But I am often drawn to the "standard" blocks. I challenge myself to use as much of my stash as possible. I usually am inspired by the pattern first; however, there have been a few times that the fabric inspired me to find the perfect pattern. love this book! for me I start with a pattern and them I go scrappy! Usually its a pattern that gets me started! Although I buy fabric just because I love it and know I will use it in a pattern one day. I like kits, so the pattern is paired with the fabric when making quilts for myself. In a kit, you get to see exactly how your quilt will turn out. You are guaranteed that the fabric and pattern mesh. I’m drawn to kits where pattern and fabric call my name. Usually I begin a quilt based on a pattern. I love this new book! Usually the pattern speaks to me first! The churn dash block in this book jumped out at me! I am inspired by fabric first. I love looking at patterns, and have loads that I want to do, but I feel like the fabric tells me how it wants to be used. The pattern is always my first inspiration; I can decide from there what fabrics speak to me about the pattern. Usually it is the pattern that draws me to a new project; however, when I am at festival in Houston, it is the displayed quilt that catches my eye! The pattern inspires me first. I am inspired by the pattern. I prefer to work in civil war fabrics so I begin pulling from my stash but I am always missing one fabric! I would probably pick the pattern first, but sometimes I find a fabric I have have & the pick a pattern to go with it. The pattern is always what draws me in first. Fabrics and patterns share the first ideas of creation for me. I think the pattern will inspire me most of all, there are so many that I would love to try. That is what I love to start with so many quilts. I would love to attempt a pattern or three with this lovely book. Enjoyed their little speech about the book, cute. Thank you ladies. I am usually drawn to the design and love to choose my own colors, although occasionally the colors will call to me. I’m generally inspired first by a pattern, but do find myself collecting Civil War fabrics & looking for just the right pattern. This book would help a lot! I start with the pattern! It actually depends on my mood. Sometimes the pattern pulls me right in. Other times I just love how someone uses colors and I say I want to learn more. Usually it is the fabric that I like first and then I look for a pattern that I think will work with the fabric. The inspiration for a quilt can come from a pattern but sometimes fabric inspires me. I am drawn to any quilt that has blue in it and quilts that patterns that have mainly star blocks. Usually the pattern gets me started. The quilt block or overall pattern of a quilt is what draws me in. I especially love a scrappy quilt with simple lines. 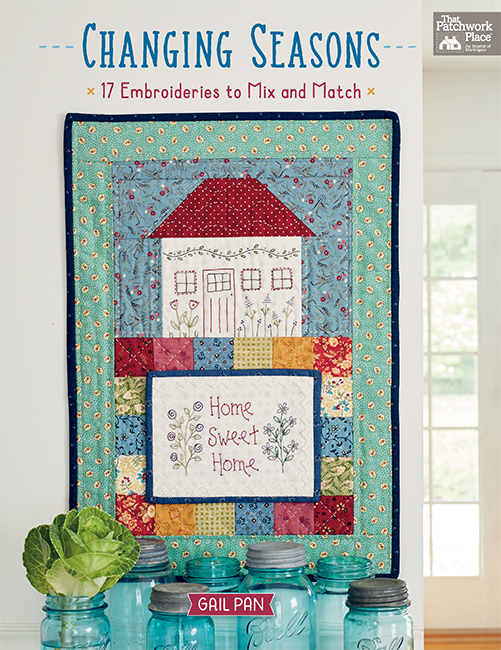 The quilts featured in this book are classic and timeless. This book is beautiful and inspirational. I am usually drawn to the pattern…which then leads to the fabric hunt! Rarely does the fabric come first! I am inspired by both really but I have to say I am very drawn to star patterns! Most of the time it is the fabric. But then the elusive hunt begins for something just as striking. Reproduction patterns and prints have always been my favorite. Both situations are true. Sometimes I see fabric that I love and I buy it knowing that I will be inspired by a pattern that comes later and sometimes it is the other way around. Best of all is finding a kit that has both the fabric and pattern that I love. Usually it is the pattern, although fabric commonly hitches a ride home with me just because I have to have it and don’t have a clue what i’m going to use it for yet. i LOVE what I can see so far of this book! I love the baskets!!! It is often a combination of both, but generally I think the pattern. I love reproduction fabric and Mary Ellen and Paula design beautiful patterns and fabric. Would love to own this book! Both actually, the fabric defines the pattern in most cases. Changing fabrics will completely change the quilt so if I am inspired to make a certain pattern it is mainly because of the fabric. The pattern is usually what inspires me, even if the sample fabric choices are not exactly my taste, I can envision it in other fabrics. The fabric catches my eye and then I look at the pattern. There are a few patterns that attract me, even if I don’t care for the fabric. I like triangles! That is a hard question to answer because both inspire me. Probably the pattern 60% and fabric 40%, when I see one I love the hunt is on for the perfect compliment to complete the quilt. I am typically inspired by the pattern. Sometimes I am looking for a challenge or want to improve on a skill, so the pattern calls to me. The pattern then determines what fabric will best showcase the pattern. Sometimes it is a very time consuming process! I would say both..but fabric is probably #1. I prefer simpler patterns, nothing too complicated….though one of my first quilts was Storm at Sea! Usually the fabric speaks to me, and I search around for a pattern to use the fabric! I am usually inspired by the pattern first. Although fabric plays a big part, i am drawn to contrasting fabrics and how they go together in thw pattern. Both, but the colors usually are the first to catch my attention. Usually, a pattern inspires me, then I find the fabric, but once in a while I have a piece of fabric that makes me go find a pattern, especially for Quilts of Valor. I am inspired by both pattern and fabric. I love color, patterns and texture and texture. Both the fabric and quilt pattern bring both to a beautiful quilt. I have worked both ways. I usually choose the pattern first, but that choice might be subconsciously inspired by what I know is in my stash! Sometimes a pattern totally inspires me to search my stash for a scrappy quilt. Other times a new line of fabric grabs me and won’t let go until I buy some! I love the quilts that Paula and Mary Ellen create and have made several. I am usually inspired by fabric. When I want to make a new quilt I go through my fabric stash first to see what inspires me and then through my magazines and books to decide on a pattern. Usually it’s the pattern that catches my eye first, but sometimes I find a fabric that I can’t resist. When shopping I will see a fabric that I think I can’t live with out. In the back of my mind I usually have something with seasonal in mind and go from there because of the color or colors the fabric has in it. I’m often inspired by a special fabric, but usually the pattern comes first—even if I end up tweaking it a bit. I think that the pattern speaks to me first, but the fabrics used WOW! me! I usually start with a pattern, but sometimes the fabric tells me what it wants to be. I usually find a pattern I love, then chose the perfect fabrics to make it. Het wisselt nogal wat de reden is voor het maken van een quilt. Dan weer het patroon, dan weer de stof. Maar bezig blijven we!!!! Translation: It changes quite a bit the reason for making a quilt. The pattern, then the fabric again. But we stay busy !!!! Not a good answer but…it depends!! Sometimes I see a fabric and feel it just has to be in a quilt. Then, sometimes I see a pattern that I like and go on a search for the right fabric, prints and colors, to make the quilt. Love the article on Red Crinoline. Usually the pattern comes first but it can happen either way. The pattern first, then the fabric to go with it. I would say the pattern first; if don’t like the design, the fabric won’t matter. I tend to buy fabric when I find it; later will find a pattern for the fabric. I buy fabric that interests me when ever I see it… "buy it now, when you want it, it won’t be available", those are true words. So I buy fabric with cats, sheep, coffee, purple, or any design that captures my attention. Then weeks, months or years later I’m left looking for a pattern or idea for all that fabric. It’s a wonderful game or problem. The fabric usually inspires me to find a complementary pattern. I am an admitted fabricaholic! It is a fabric that attracts me and then the pattern. Often I have fabric that I’m wanting to sew with and start looking for a pattern, but sometimes it is the other way around. It’s usually the pattern that draws me first. Of course, I’m sure the fabric plays a part in catching my eye. They both must play well together. Thank you for this opportunity for a chance to win a copy of Step Back In Time. It really depends. Sometimes I see a beautiful pattern and then hunt for the fabric and sometimes I have a grouping of fabric and look for a pattern. I would say most of the time the pattern comes first. I never buy a kit or use the fabric line that everyone else is using. I like for my quilt to be one of a kind. I need to love the pattern first before deciding on the fabric. I usually buy fabric and then look for the perfect pattern to showcase it. Other times I buy patterns, knowing I have just the fabric to make it. I enjoyed both of the videos and now feel like I know you both, and would love to add this book to my favorites. Typically, I see a quilt design that I like and then go from there. I’ve been a fan of Paula Barnes’ fabric for a while and like what I’ve seen from this book. Hope I win it. Thank you. I’m usually inspired by the pattern first. That being said I-have quite the stash of fabric that called to me. determines if I will make that quilt. Love this new book. Great job!!!!!! Both really. I’m always drawn to a pattern that is done up in reproduction fabrics. I think it is the pattern that 1st inspires me. Often it is a photo of a quilt that captures my attention. I love the look and the stories behind reproduction quilts. I also like to see different color/fabric choices for a particular quilt. That helps me learn better fabric choices. Thank you for creating a beautiful book of quilts. Being a fabric "horder", I buy fabric that I like when I see it. The perfect pattern comes along at some point, it is then that I pair them together. Mostly I start with a pattern and than look for the fabrics. Pattern, for me! Love this book, and Civil War fabrics are my favorite. Because I’m both a fabric and pattern collector, I’ll usually go to my fabric stash first for inspiration and then browse around for a pattern design that will work for the amount of fabric I have selected. I am usually inspired by the pattern first, then look for fabrics, but sometimes I find an awesome fabric first. I so love this book and the small blocks, I will have to buy it if I don’t win it. Thank you for the drawing for it. I usually start with pattern and then pull fabric for the project. I find fabric that I just have to have- buy it and then look for a pattern that makes me want to cut the fabric up. Usually the pattern, but sometimes the fabric will tell what it wants to be, too. The pattern inspires me first then trying to find the just right fabrics that talk to me to make it a master piece. I’m usually drawn to the pattern first…..classic patterns with a vintage look. This book looks like a winner! I am generally inspired by the pattern first. But then there are the times when I just love a fabric and have to do something beautiful with it. Usually the pattern, then the fabric. 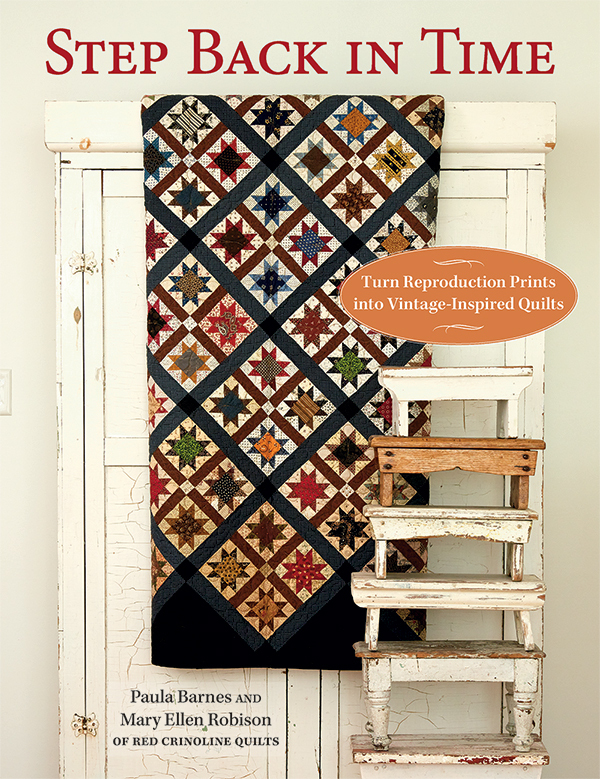 Live the traditional style of quilts and reproduction fabrics, so this book looks very useful. I’m inspired by the fabric. However, if I see a great scrappy pattern, I’ll dig through my scraps to make it. Just like all my answers: It depends! Sometimes I will see an irresistible pattern and immediately wonder which fabrics will make it sing, or start searching my stash for the right fabrics to match that pattern to someone I want to quilt for. Other times I see or have fabric I love and then I search for a pattern to show the fabric off to its best advantage. So, it depends. sometimes the pattern inspires me & than I look for fabrics to compliment it & sometimes it’s the fabric that I notice first & just go with it. Pattern usually first, but sometimes a fabric calls to me and then I have to find the right pattern or just add the fabric to the stash and wait for the right pattern and hope I have enough fabric! I usually find the pattern- then try to find my own combination of fabrics. Thanks, Patty B.
I usually start with a pattern to make my quilts. But sometimes the fabric calls me to make something with it. That varies. Usually I am inspired by the design I have in my head, but I have so many designs in mind that I can’t possibly do them all. Next to that the pattern inspires me to look for certain fabrics that I think will look good with it. And then sometimes I will see a fabric and it will make me think of designs that would look good in that fabric. Sometimes it’s a pattern that catches my eye and the search begins for the perfect fabric. But sometimes the perfect, must-have fabric finds me! This looks like a great book to have on hand for that perfect fabric. Good morning, The pattern inspires me to search for the right fabric when making a quilt. BUT…there are times when I buy beautiful fabric and search for the right pattern. As long as I am quilting that is all that counts! It’s a tossup. Sometimes a pattern just yells out and other times it is a fabric that cries out. Even times when the pattern and the fabric used in it is what grabs my attention. The patterns inspire me! These days I have acquired (notice I didn’t say hoarded) so much fabric it is a challenge for me to use my fabric stash in these beautiful patters. Love the history of the potatoe chips! Even though I try to keep in mind what fabrics I’d like to use up from my stash, I typically get things rolling with a pattern I like. Usually the pattern inspires me. However I’ve seen some quilts in such beautifil colors, I will buy the pattern because it was made with such wonderful fabric. Most always it is the pattern and then I shop my stash for what would look good. There have been occasion when I’ve been driven by a fabric and the search is on for a pattern that will do it justice. Odd as it sounds, I first think of the person it is going to be made for, then the pattern and then fabric But you never know…..I am famous for walking thru fabric sections in different stores and just "have to have" that fabric and will figure out what to do with it at a later time. I like Civil War repro fabrics…they certainly speak to my heart. As for patterns, I much prefer classic patterns. Something about them shows timelessness, and I like that. When I need a quilt, the first thing I look for is the pattern. Then I search for the fabric starting with my stash but looking in a shop too. For me, it always is the design/pattern and then the colour of the quilt that gets inspired. Essentially fabric is hard to choose when looking at a picture. But it is essential that a quilt I make is made with good quality quilting fabric. Otherwise, there is no point too making the quilt. I find the pattern first. Then comes the fun job of picking fabric! It used to be the pattern, but lately, its the fabric. I think the fabric can make even an ordinary pattern look wonderful. I always what happens that draws my eye to a quilt. Usually it is colors and the combination of colors in fabrics. I am inspired by the pattern and then I go through my fabric stash in my mind and interpret it with that way. I graph out the design in my mind and try to visualize how I could make it. I often see fabric and buy it because I lovr it, with no idea what I will do with it, but I have found that when I am inspired by the pattern first I am much better at producing a result I like, and it is much more economical on my budget. Fabric always grabs me first. Love the colors, patterns, texture. Over the years, I have changed to purchasing darker tones in reds, browns, navy, mustard. I see a pattern and then go searching for the right fabrics. I am almost always inspired by the pattern of a quilt. Too many times I find it difficult to stray atom the fabric featured in a quilt. When I do change the fabrics it is usually a 50/50 chance that I will be pleased.